It doesn't take long to travel within California to find the perfect combination of solitude and opportunities for quiet reflection. 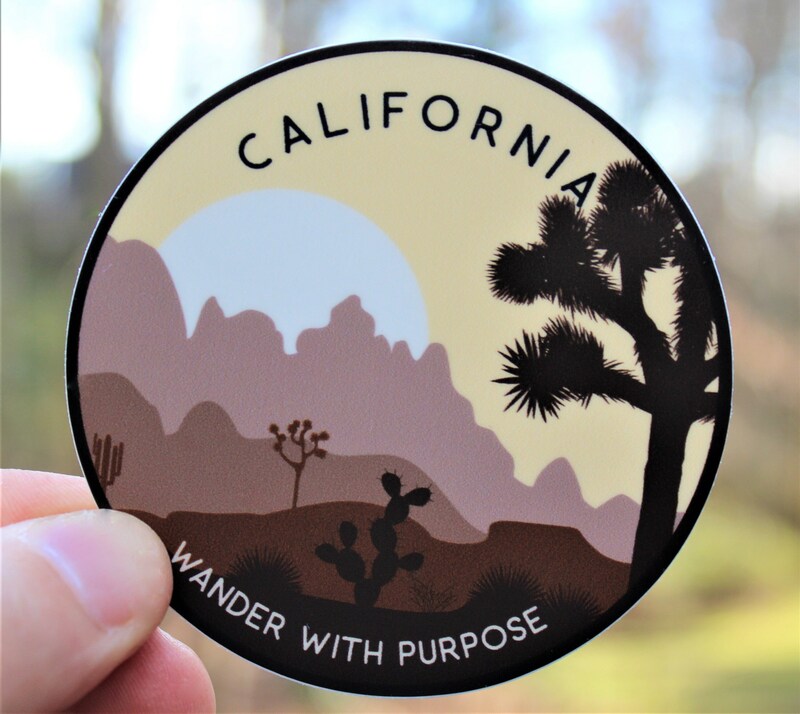 Our new California Wanderer Sticker captures the energy, colors, and mystery of this enchanted region...a new and strange enthusiasm for mind and soul. 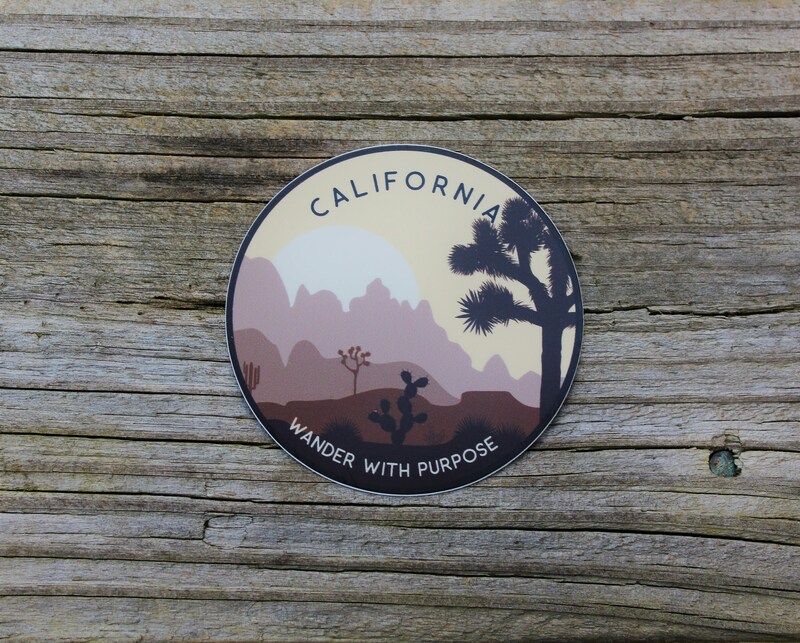 Beautifully made sticker. Thank you!